With the release of Android 6.0 Marshmallow for Samsung’s Galaxy devices, a whole host of new and improved features are now available. Two of the most useful are Samsung Internet 4.0, which offers better privacy and functionality from the native Samsung browser than ever, and Cross App, which lets people access their most useful apps while inside the messaging program. Together, these changes promise to give Galaxy users more control and let them get more out of their devices. While a web browser’s ability to keep track of passwords, cookies and viewing history is very convenient, sometimes people are more concerned with protecting their privacy. For instance, when renting a smartphone to your friend, your friend might not check out your browser history or saved bookmark and pages in secret mode. The Samsung Internet 4.0 now offers a Secret mode, so users can use the Internet freely without leaving behind a trail of information—no browsing history, cookies, passwords, auto-fill data or anything else. Secret mode works with fingerprint authentication, ensuring only the proper user is able to look at sensitive data, even when in protected mode. Samsung Internet can also let users store bookmarks and save pages while in Secret mode, but in a separate space protected by Samsung’s industry-leading security solution. Furthermore, Samsung continues to work with its Web Sign-in protection, which launched with version 3 of the Samsung Internet browser. When users log in to a web page, their identity is protected with fingerprint authentication, ensuring only the right person has access to the data in the browser. And moving forward, any additional biometric technologies will be added to Web Sign-in. As the Gear VR grows in popularity, Samsung is prioritizing the smooth integration of the web browsing experience between devices. 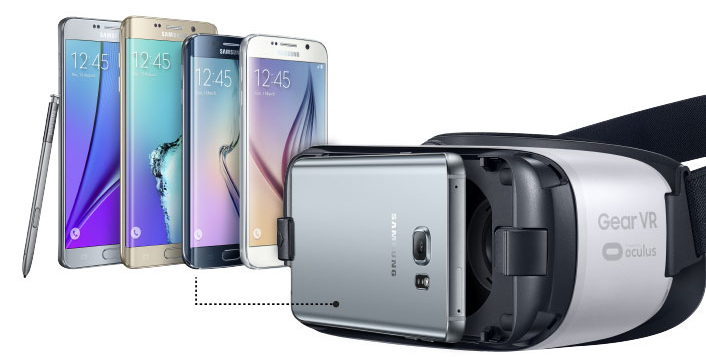 Whether on a Galaxy S6 edge+, Galaxy TabPro S or Gear VR, web browsing should feel consistent and continuous. With the Samsung Internet 4.0 able to interact seamlessly on mobile devices and the Gear VR, it will be easier than ever for anyone to enjoy the immersive experience of virtual reality. Users can share bookmarks and video history between the Gear VR and Galaxy phones and tablets, for added convenience, whatever device they choose to use. A major part of a successful web browser is its ability to just work, without causing crashes and other headaches, whatever the website or application a user wishes to try. Which is why the Samsung Internet 4.0 comes equipped with the latest specs for today’s developers, scoring top marks on HTML5 compatibility tests from the World Wide Web Consortium (W3C). With full implementation of the Service Worker API, it also allows for a better experience when a user is faced with poor connectivity. It also provides access to the back-end of the operating system, for tools like background sync and push notifications. 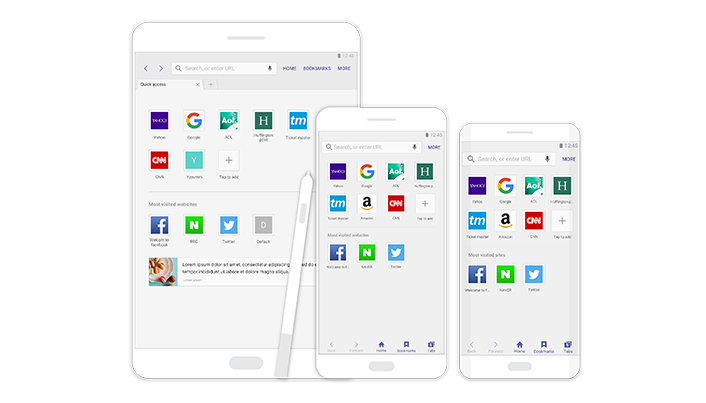 In addition to added browser feature, Samsung Galaxy devices now come with Cross App, which allows users to operate certain apps from within other apps. For instance, while using messaging apps, users can access their photos and videos and send them to whoever they are talking to, without exiting the messaging program. They can even take new photos with the in-app camera and share them right away. Users can also open a URL from inside the chat program using the in-app browser, and use the web at full speed, without slowing down. Even while the page is loading, a flick of the screen can minimize the website, so users can continue chatting. Furthermore, Cross App allows for the seamless playing of multimedia in a chat. Videos can be played both within the chat and on full-screen. Sound files can also from within a chat using Cross App. Along with the many features of Samsung Internet 4.0, Android 6.0 Marshmallow also brings several useful new additions. There are two new power saving functions with Doze mode (when the device is unplugged and stationary for a period of time) and App Standby mode (which determines if an app is idle). For audio, Marshmallow now supports the MIDI protocol and lets users retrieve a list of all audio devices connected to the system. For video, dynamic playback means when playing a video the speed of the audio can be adjusted. Users also can have more control over runtime permissions, to directly manage app permissions.